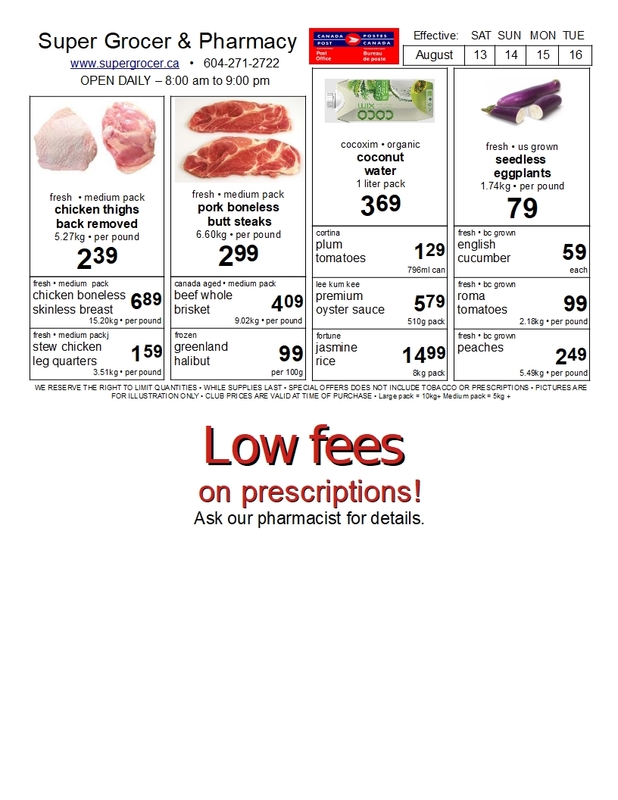 Super Grocer & Pharmacy | Come shop where your neighbours shop. Super Grocer & Pharmacy is open daily from 8:00 am to 9:00 pm. except for Christmas Eve (Closed at 6:00 pm), Christmas Day (Closed), and New Year’s Day (Closed). Located in Steveston Village, Richmond, BC. ( If your browser does not display the following content, please Click here ).